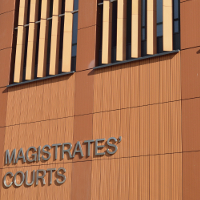 On Tuesday 26 March, Michael Flood of Pulford Road, Winsford, pleaded guilty at Crewe Magistrates’ Court to fraudulently amending his Security Industry Authority (SIA) licence. Vance Garner of Stone Manor Lane, Hartford North, also pleaded guilty to supplying two unlicensed door supervisors (including Flood) to The Vaults pub in Middlewich, Cheshire. Tuesday’s prosecution is the culmination of a successful investigation by the SIA, which began with a routine licence inspection by SIA investigators alongside Cheshire Police in January 2018. During the inspection Mr Flood admitted that the expiry date on his SIA licence had been altered from the actual expiry date of January 2016. This discovery prompted SIA investigators to analyse The Vaults’ signing-in book which revealed that Mr Flood was one of several unlicensed people working at the venue. In April 2018 the SIA’s criminal investigations team identified that Vance Garner had arranged for the unlicensed guards to work at The Vaults. The SIA were able to uncover Flood’s fraud by using its powers under the Private Security Industry Act 2001 to make formal requests to those people that the SIA suspected of having worked unlicensed. The four unlicensed door supervisors all admitted that they had worked unlicensed under the direction of Vance Garner.